A few years ago, while looking for a solution to healing some of my own injuries, I came across a product called "kinesiotape." I had heard a little about kinesiotape in massage before but never knew much about it or ever used it. I heard it was good for injuries and is very popular in Japan. I found a roll in a local store known for carrying numerous products from Japan. Although I had no real idea what it was, because directions were in Japanese, I decided to give it a try. By following the pictures included, to my surprise it, worked quite well. This interested me and I started looking more into how this tape worked. After using it for about a year, the only downside I found was that the tape would not stay on very long. Although it was supposed to stay on for anywhere from 3 to 5 days, mine would usually come off in a day or two, especially if I were wearing it to training or exercise. This prompted me to find a better alternative. That is when I found ROCKTAPE. My first conversation with the guys at ROCKTAPE was pleasant and informative. 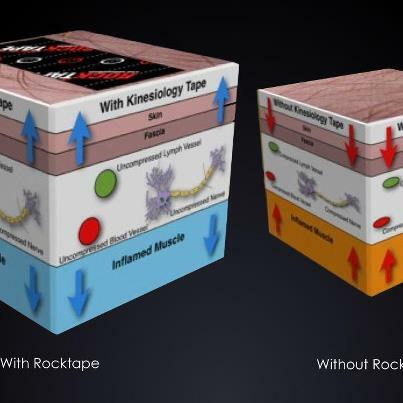 They explained that the original version of Kinesiotape was developed to mostly be used for rehabilitation, ROCKTAPE was developed for athletes and the more extreme demands of their sports. It's adhesive is stronger, the tape stretches farther, allowing it to stay on better when other brands will "pop" off, and it has a tighter weave, which "snaps" back better, allowing for greater support. For work, I began using ROCKTAPE in addition to massage to help extend the effects of the massage work. It is great for helping reduce pain, re-teach proper movement patterns, and support strained muscles and sprained ligaments and tendons. 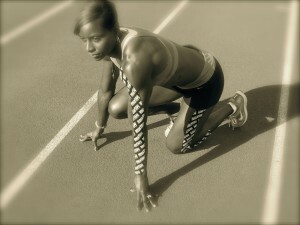 Taping can also help athletes perform better by helping circulation during events. This allows them to run faster, jump higher, and throw farther. It is legal to use in competition and is far less restrictive than braces and other forms of taping. 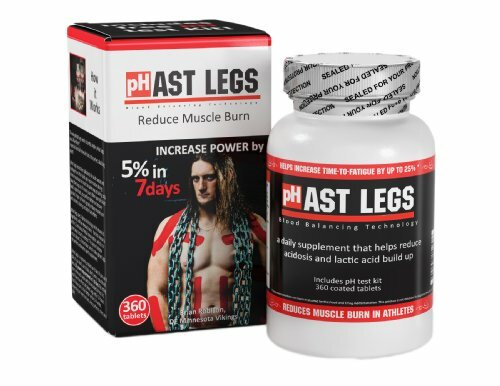 With so many products on the market these days claiming to provide modern day miracles to injuries and pain, it can be very confusing determining what works and what is "snake oil." Rocktape does not have anything combined with it to make it work. There is no titanium, magic reflectors or anything like that in it. It is simply cotton, nylon, and some adhesive glue. The "secret" to its effectiveness lies more in the way that is applied and how that application helps body do what its supposed to do to heal injuries and pain. A simple way that I use to explain to people how Rocktape works is to imagine using an ACE elastic bandage. Most people at some point in their life have used these to provide support and relief to various injuries such as a strained muscle or sprained joint. What the elastic bandage does is provide structual support through compression of the area. Simple enough, right? The downside to this is that the bandage compresses everything it surrounds, slowing blood and lymph flow. Lymph is basically the sewer system for the body, and when it is restricted, waste builds up, affecting the muscles by making them sore and less able to perform optimally. Enter Rocktape! The difference to using Rocktape is that instead of having to wrap the tape around the injured area, the tape can be applied directly over the injury. This helps provide support to the injury without having to compress it by taping around the limb or area. Another advantage to this is that the tape actually will contract slightly, raising the skin from the area and allowing more fluid flow, increasing the amount of blood and lymph that can travel through the area, which helps to reduce pain. In the case of sprains, where the injury needs to be supported, Rocktape can be applied over the injured area without having to wrap it like when using strapping tape, like the white strapping tape that most people are familiar with when you watch any football movie and they show the players getting their ankles taped. The disadvantage to strapping tape is that it minimizes motion at the joint and causes the person to compensate by moving another part of their body, as well as compressing the area, similar to the elastic bandage example above. There are many other examples of how Rocktape can be used for injuries. Please check back for updates. I will be adding pictures to help illustrate the above examples as well as adding others in the near future. RockTape has become popular with athletes recently because of its ability to improve performance, reduce recovery time, and speed healing. Between our skin and muscles is a think layer of fluid known as lymphatic fluid. It is basically the sewer system for our bodies, removing waste from the muscles in the area. When we have injuries, there is an excess of waste that builds up in the injured area and the increase in pressure sends signals to little sensors housed in the fascia, which also lies between the skin and the muscles. These sensors tell your brain that something is wrong and your brain in turn tries to get you to stop using the area by making it hurt. By creating a lifting effect on the skin, Rocktape helps injuries by reducing the pressure to the taped area, which lessens the pain signals sent to the brain. Curious about ROCKTAPE and its benefits? Want to try a free sample? Need info on where to purchase ROCKTAPE? Want to use ROCKTAPE in your massage, chiropractic, physical therapy business or retail store? Contact Us and let me know. 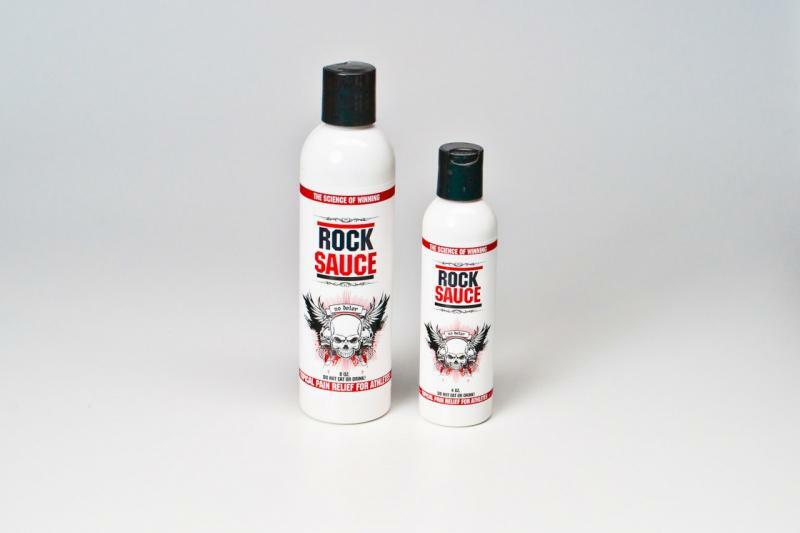 Want to order Rocktape or Rock Sauce, click the banner below to place your order.